Welcome to the final edition of Reading with Little Miss Muffet and Little Bo Peep! We are just two and a half weeks away from the expected arrival of baby number three, so next month, this feature will be changing. 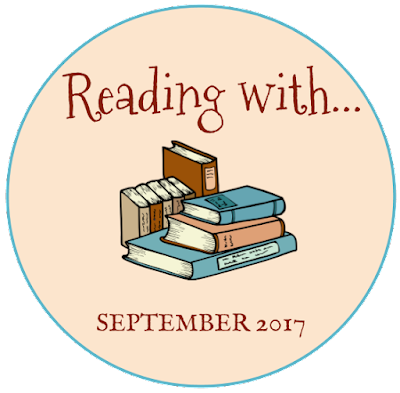 Now that we have a beginning reader among us, it's starting to become difficult to keep track of everyone's reading on a monthly basis. It is likely that, after a short hiatus to get settled with our new addition, I will start a new weekly feature to keep track of what all the "Read-at-Home Kids" are enjoying literacy-wise. In the meantime, here's one last monthly round-up, focused on what we've read in September. I'm having a little bit of trouble keeping up with Little Miss Muffet (age 3 years, 10 months), but I believe she has now read more than 100 books on her own. This includes the Hooked on Phonics readers she started out with, as well as a good portion of our collection of I Can Read books and other similar easy readers. 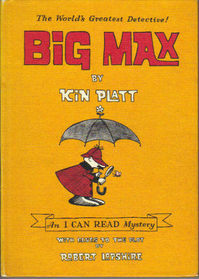 (My count is not 100% accurate, but I think her 100th book was Big Max by Kin Platt.) She continues to surprise me with her facility with reading. I could sound out words when I was four, but I did not have the comprehension skills that she does. I'm finding myself having actual book discussions with a child who is still three, and it makes me feel guilty for looking askance at library parents who used to insist their preschoolers read on a second grade level. Early readers really do exist! This month, we have also started reading chapter books aloud to both girls at mealtimes. 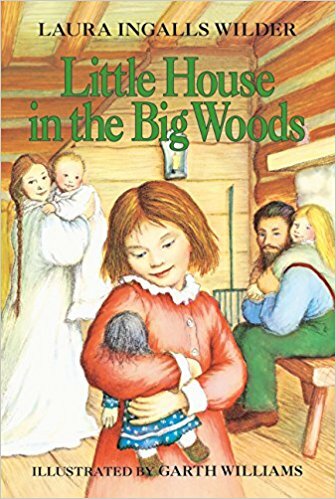 My husband started out reading Little House in the Big Woods at the dinner table at the end of last month, and I was amazed by how much even Little Bo Peep (age 2) was able to take away from the story. 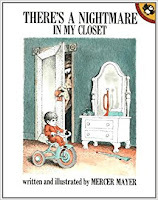 We finished the book weeks ago, and she is still talking about Laura and Mary and asking to see the illustrations of Charley, the boy who is stung by yellow jackets near the end of the book. Miss Muffet's interest in the book runs deeper, and she's been asking about rifles, jigs, and pioneer clothing, resulting in lots of YouTube viewing sessions to help her make sense of everything she heard about in the story. After Little House, my husband also read The Apple and the Arrow, and now we're working our way through A Penny's Worth of Character. In the meantime, I've been reading the Winnie-the-Pooh books aloud during lunch. This will surely not be the only time they hear these, as there is a lot that is going over their heads, but they adore the characters and both girls can retell what they hear on some level. Miss Muffet and I are also reading a nonfiction chapter book, Shag, Last of the Plains Buffalo by Robert M. McClung, which she is enjoying despite the fact that buffalo keep getting killed left and right! And of course, we are always reading picture books. Miss Muffet is still partial to the mouse books by Kevin Henkes, and both girls continue to be obsessed with Frances the Badger. Bo Peep has also become very attached to There's a Nightmare in my Closet, and she has been known to hide in my bedroom closet and then coming charging out, calling out in a monstrous voice, "I am the nightmaaaare." Other favorites of both girls include Baby Dear, which we've been reading a lot in preparation for their new sibling, and Good Little Bad Little Girl, whose text I find irritating, but whose illustrations accurately represent the behavioral gamut my kids run each day. Finally, Bo Peep had her first taste of audiobooks this month, and she is a fan! She will listen very intently to Bedtime for Frances, even reciting some of the lines along with the narrator. So far, she has only listened without the book in hand, but it won't be long before we can teach her to turn the pages when the signal sounds. I don't like to use audiobooks as a substitute for reading aloud, but they do come in handy when I need to run to the bathroom or fix lunch, and they will be a nice option when I'm putting the baby down for a nap or giving him/her a bottle. And that was our month! Watch for new weekly posts coming in November, and in the meantime, happy reading!